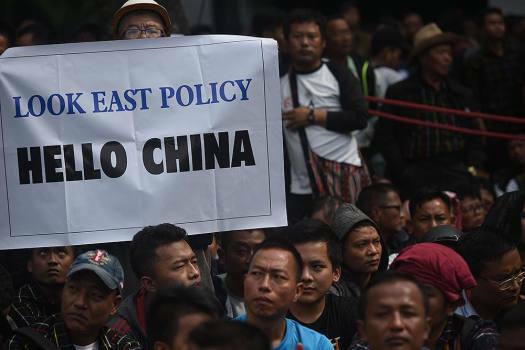 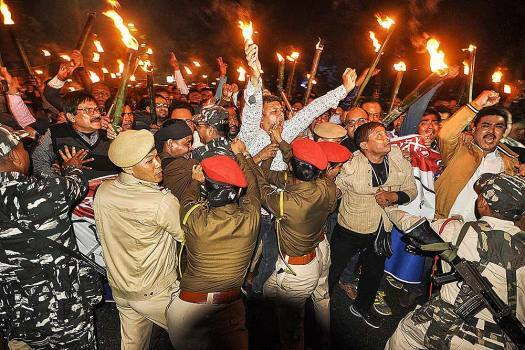 A protest rally in Aizawl. 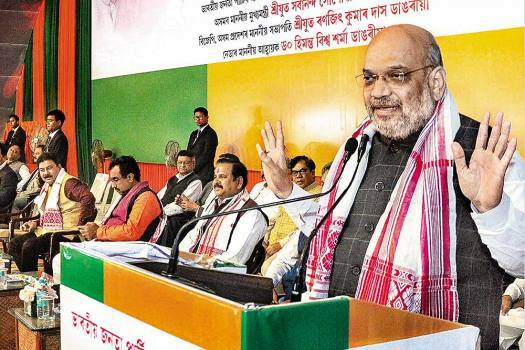 BJP president Amit Shah in Assam. 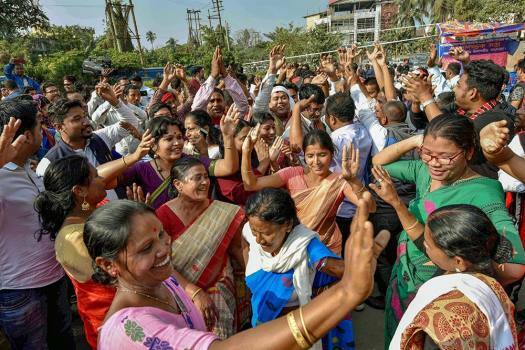 Members of Krishak Mukti Sangram Samiti (KMSS) and 70 other organisations celebrate after the Citizenship Amendment Bill failed to secure parliamentary approval, in Guwahati. 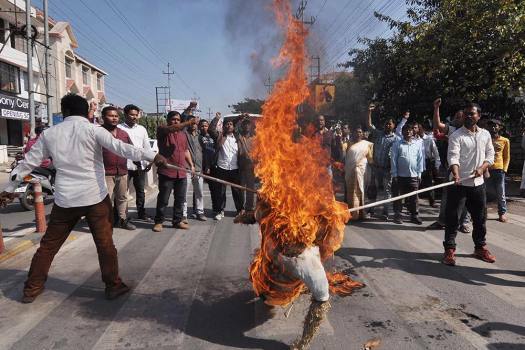 Assam Jatiyatabadi Yuba Chatra Parishad (AJYCP) activists burn an effigy in protest against Citizenship Amendment Bill, in Guwahati. 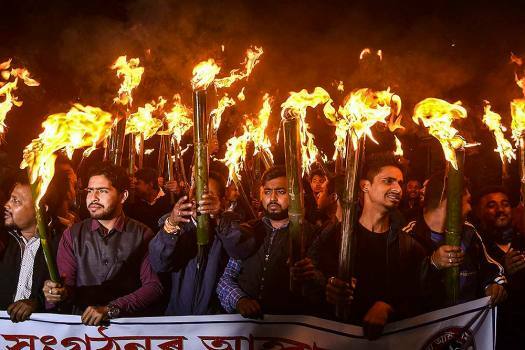 College students participate in a protest rally led by the Sivasagar district unit of All Assam Students Union (AASU) against the 'Citizenship Amendment Bill, in Sivasagar. 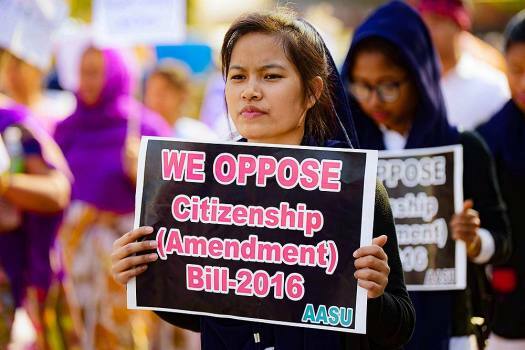 All Assam Students’ Union (AASU) members raise slogans in protest against Citizenship (Amendment) Bill, at Naharkutia in Dibrugarh. 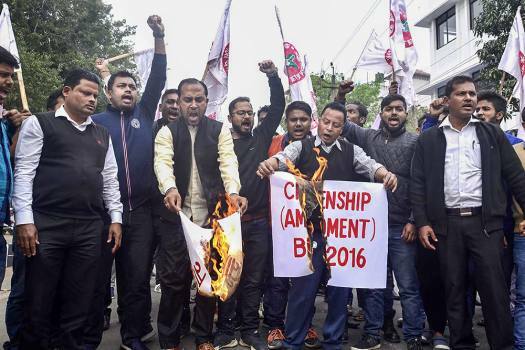 All Assam Students’ Union (AASU) members raise slogans during a protest against Citizenship (Amendment) Bill, in Guwahati. 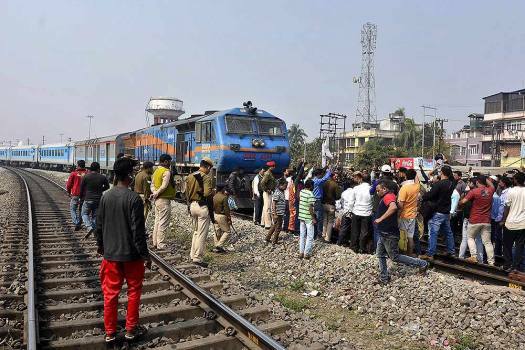 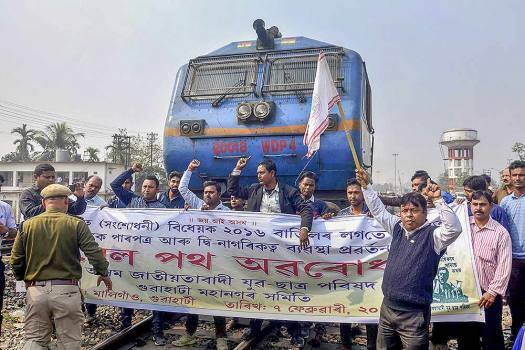 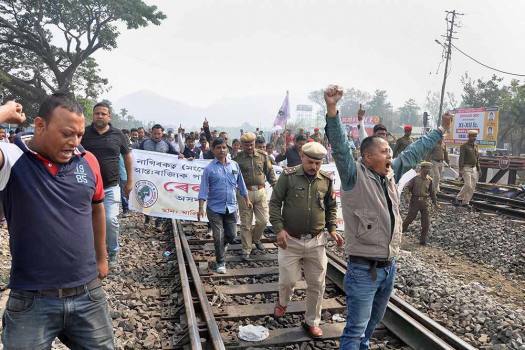 Assam Jatiyatabadi Yuva Chatra Parishad (AJYCP) member stop a train during a protest against Citizenship (Amendment) Bill near Kamakhya Junction railway station, in Guwahati. 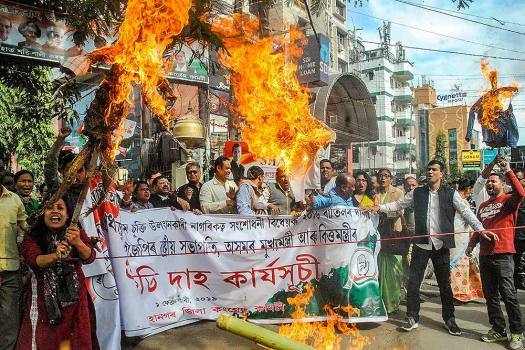 Members of Assam Pradesh Congress Committee (APCC) burn an effigy during a protest against the Citizenship (Amendment) Bill, in front of Rajiv Bhawan in Guwahati. 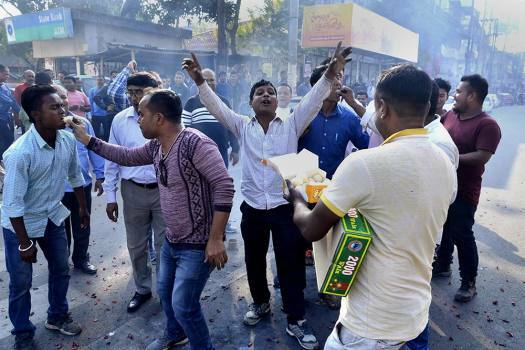 The BJP released its manifesto for Lok Sabha Elections 2019. 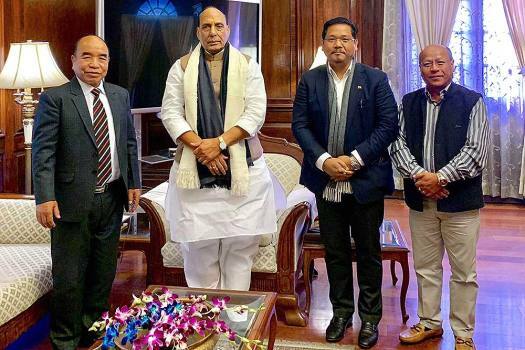 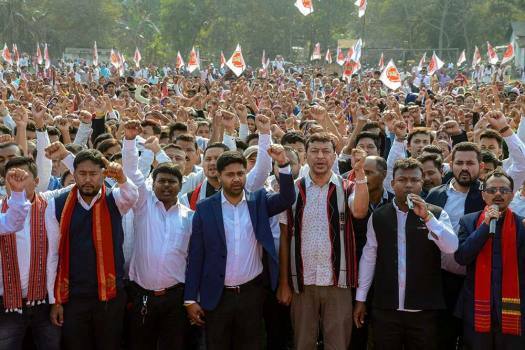 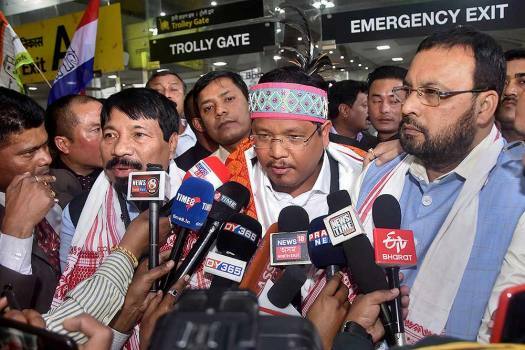 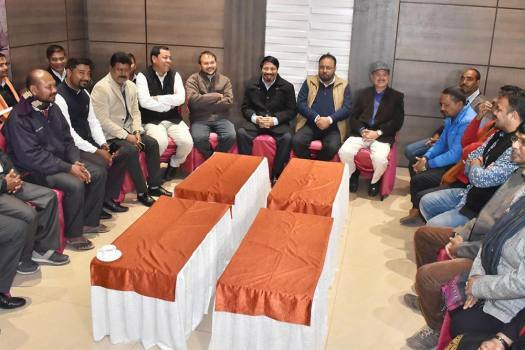 The party founded by Conrad’s father, former Lok Sabha speaker PA Sangma, will this time contest election in the coming Lok Sabha polls in Assam along with other states. 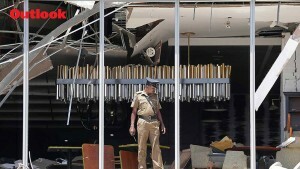 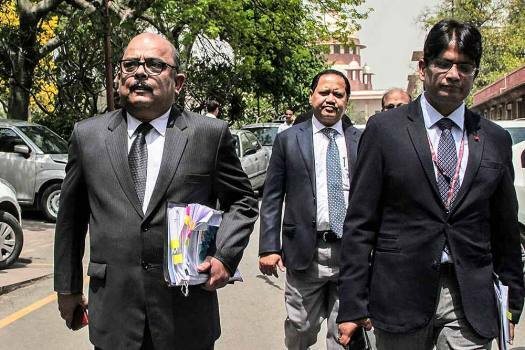 The government, however, is likely to re-promulgate the triple talaq ordinance as it could not get the Muslim Women (Protection of Rights on Marriage) Bill too passed in the upper House. 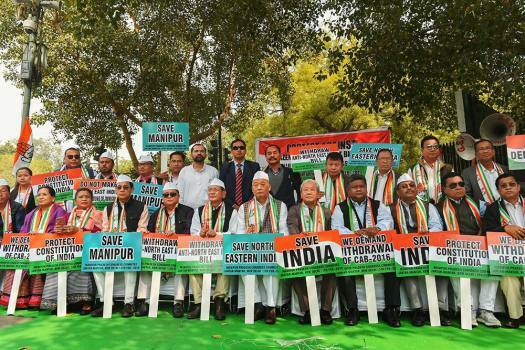 The authorities had clamped the curfew and suspended mobile internet services across Manipur till February 16 in view of the continued protests against the Citizenship (Amendment) Bill. 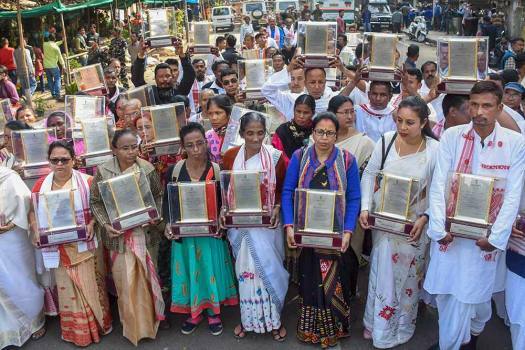 The contentious Citizenship (amendment) Bill provided for according Indian citizenship to Hindus, Jains, Christians, Sikhs, Buddhists and Parsis from Bangladesh, Pakistan and Afghanistan after six years of residence in India instead of 11 years, which is the norm currently, even if they do not possess any document.